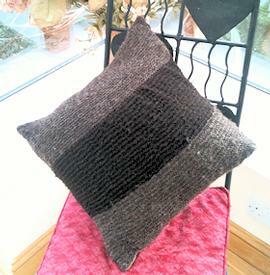 Made using the wool from our Hebridean Sheep. Hand Spun, Hand Knitted. One off Unique Design. 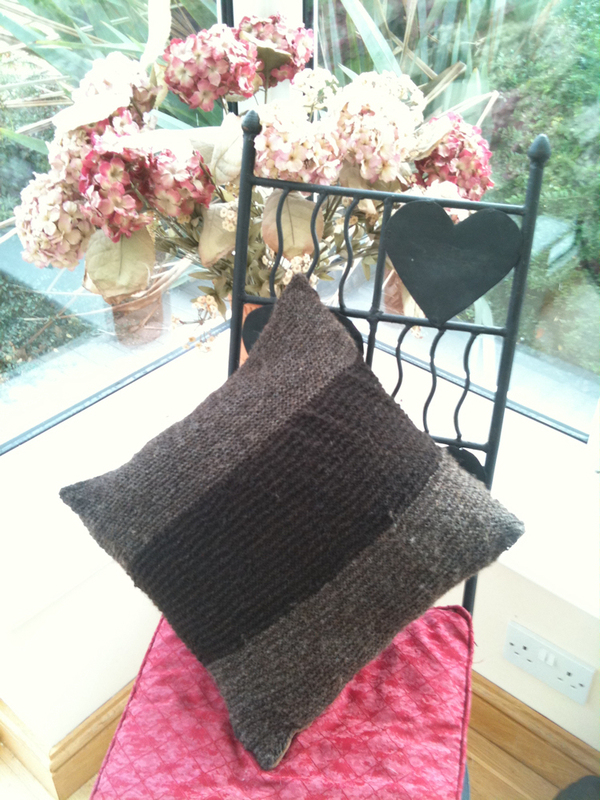 The exclusive design of this "one of a kind" cushion has been made using wool from three different sheep and so shows the fantastic variety of colours featured in Hebridean Fleeces. Suede Backing. Colours range from very Dark brown - Light Brown - Grey.